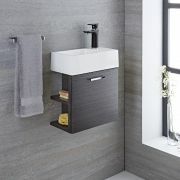 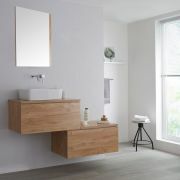 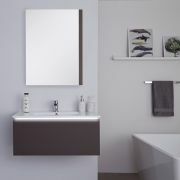 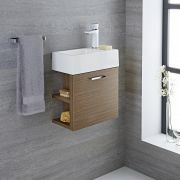 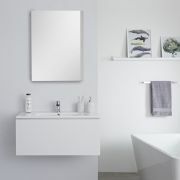 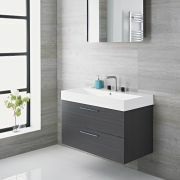 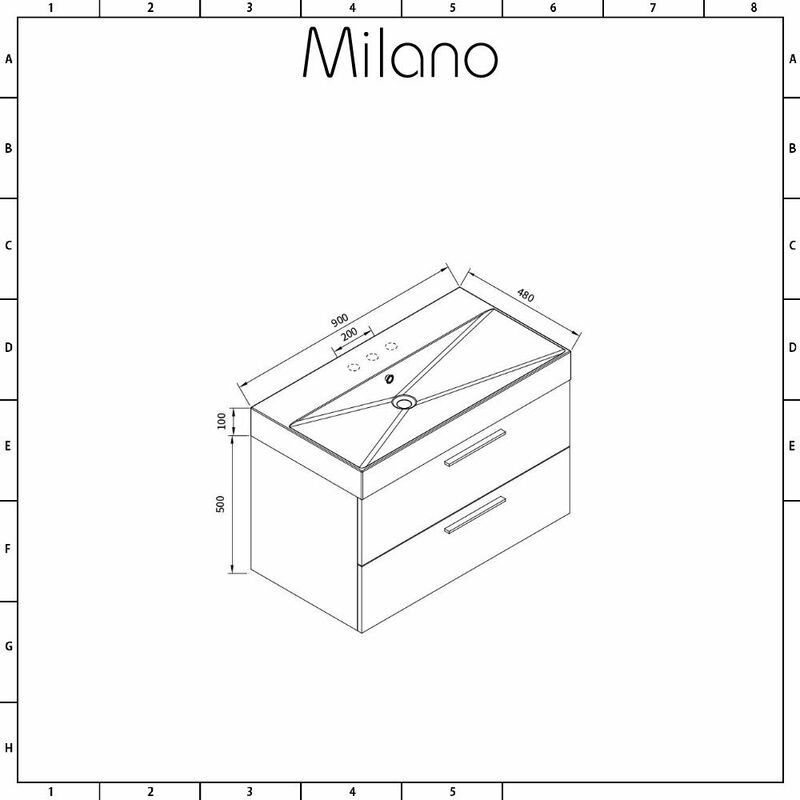 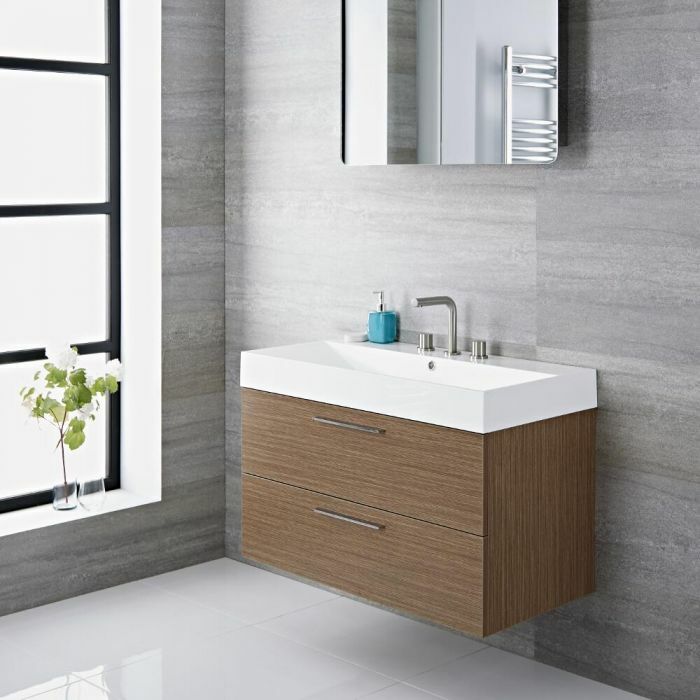 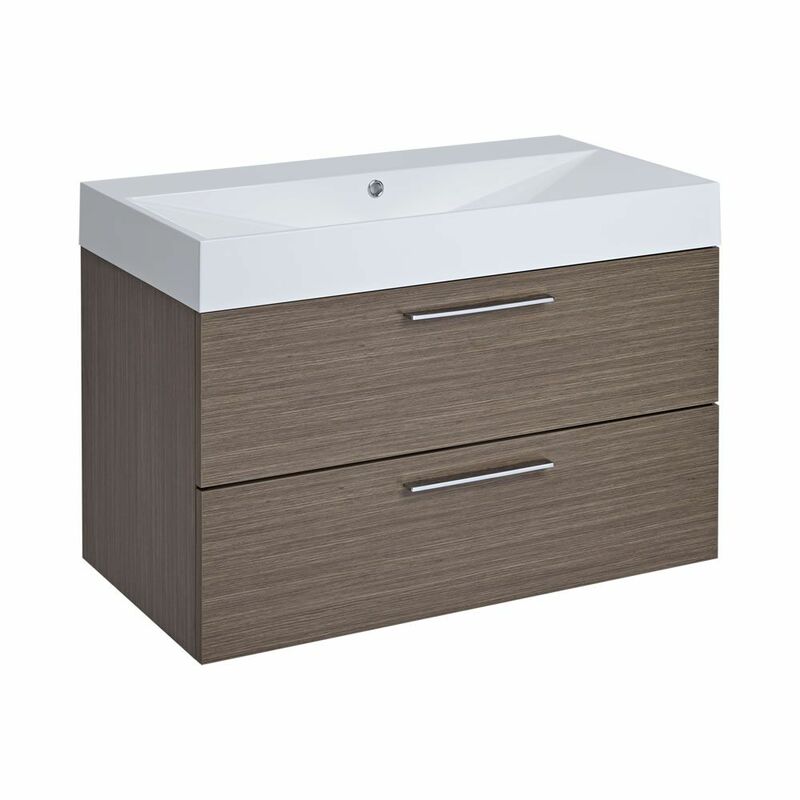 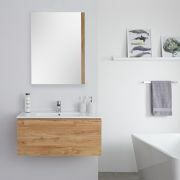 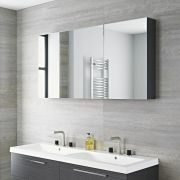 Create a contemporary look in your bathroom and boost your storage options with the wall-mounted Milano Linley 900mm vanity unit. 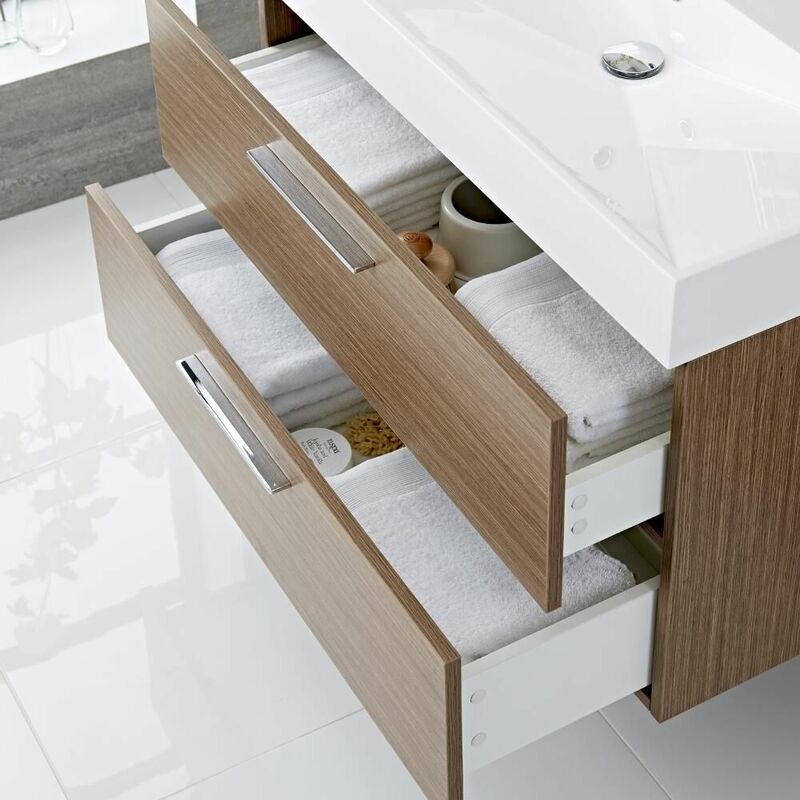 Featuring two large soft close drawers with polished chrome handles, the Linley vanity unit allows you to store your bathroom essentials unobtrusively to keep your bathroom looking neat. The modern oak textured woodgrain finish is allied to the moisture resistant engineered wood construction that ensures strength and long-lasting durability. 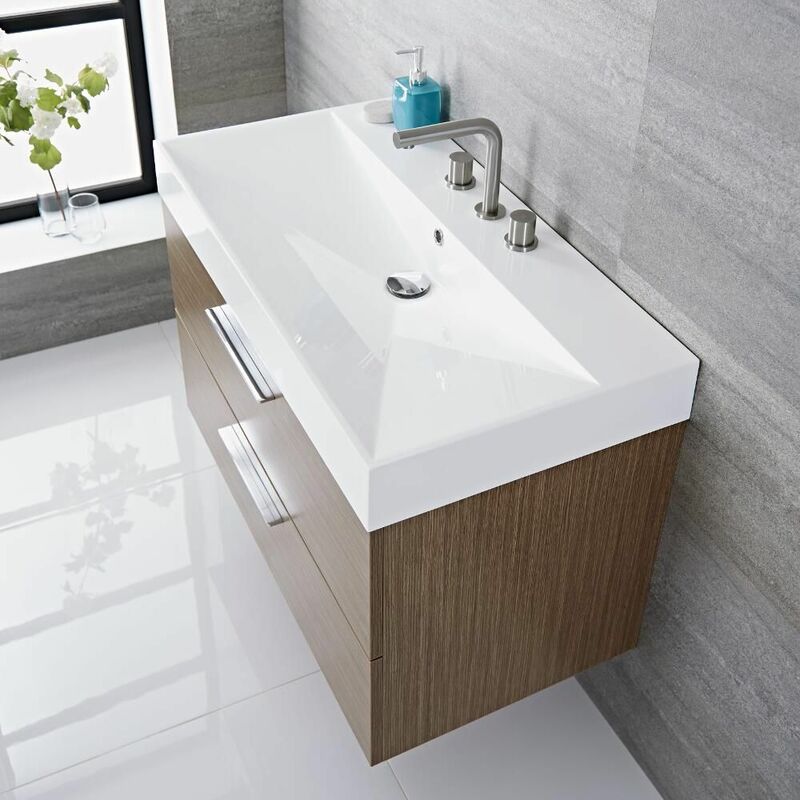 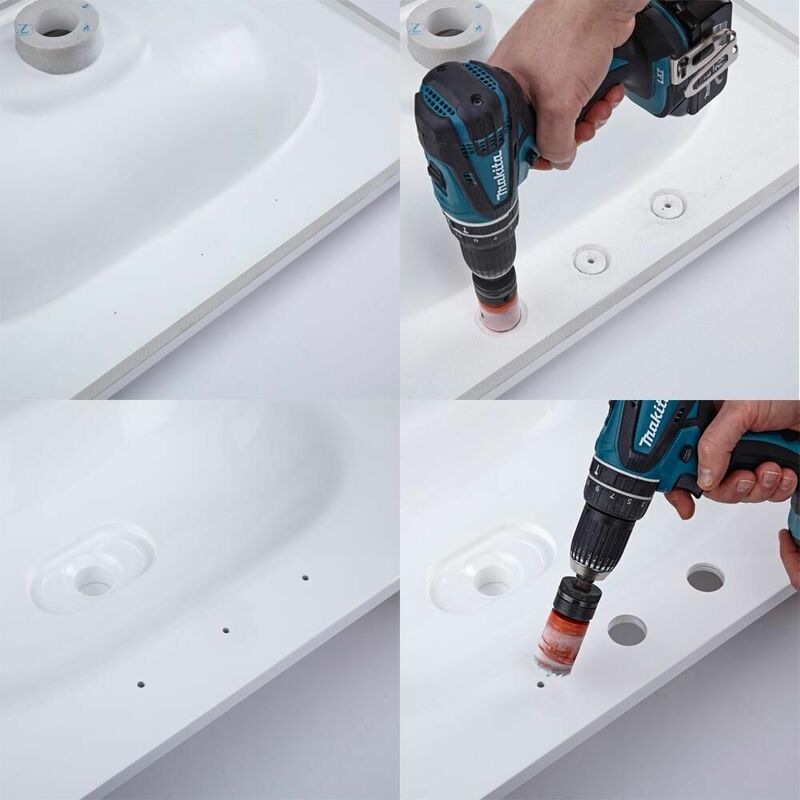 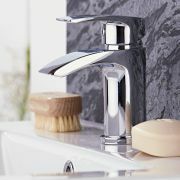 The stylish polymarble basin includes a gel finish to enable easy cleaning and is supplied partially drilled with tap-holes on the underside to enable installation of 0, 1, 2 or 3 mono taps, which can be selected from our range.